Alpha Tactical is an enhanced version of the original Alpha Jacket featuring two bicep pockets and additional Velcro panels for easy personalization. 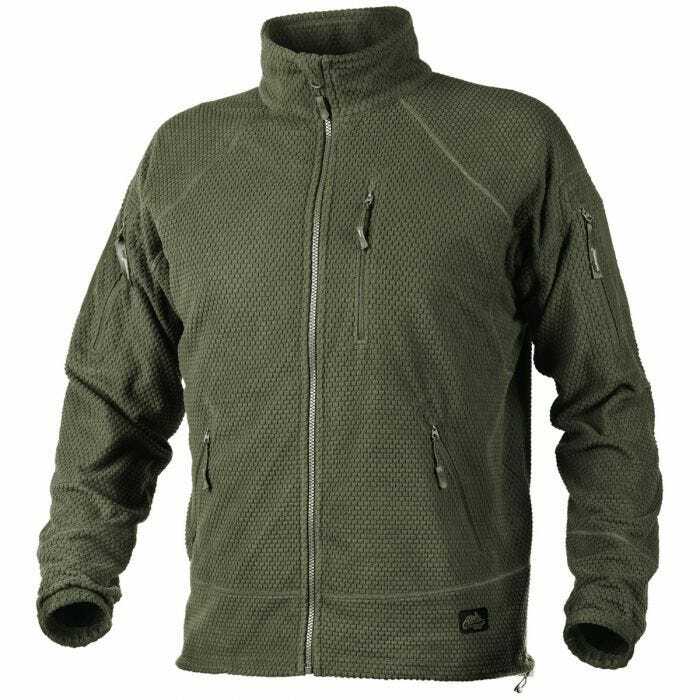 Part of the Urban Tactical Line the jacket is ideal to use as a separate layer or a base insulation layer in conjunction with outer soft or hard shells. Made of soft and breathable grid fleece material it provides immediate warmth in low temperature conditions. Mesh lining improves pleasant handling and skin comfort. Moreover lightweight and packable, Helikon Alpha Jacket can be compressed and easily transported in a backpack or separate pouch.